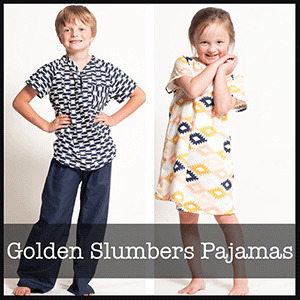 The Golden Slumbers Pajamas have a raglan sleeve, front placket and feature both a shirt length or nightgown length. 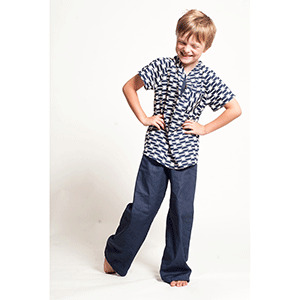 The pattern includes pants and shorts as well, with a nice baggy fit perfect for swimming. 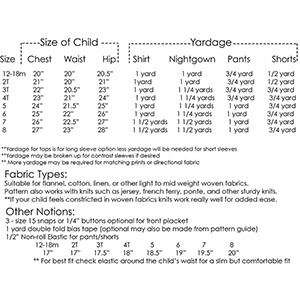 The pattern is drafted with a wide loose fit so it can be suitable for woven fabrics, although it also works great with knits.